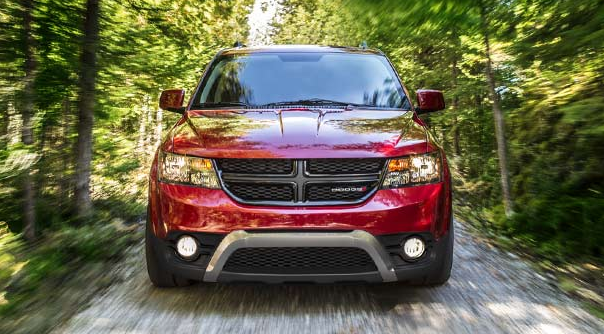 At Davis Dodge, our selection of Journeys is sure to get you excited! 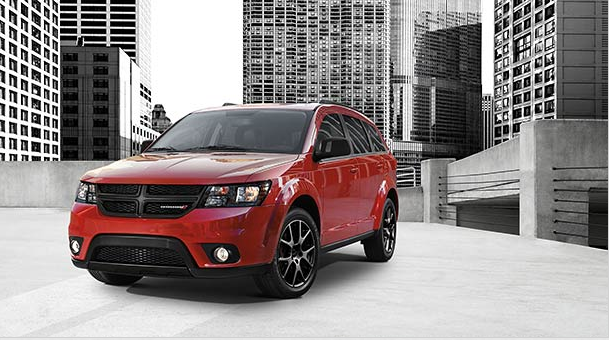 The 2016 Dodge Journey delivers bold design, strong performance, exceptional fuel efficiency, seats up to 7 and is the most affordable mid-size crossover in Canada. For even more style and value, check out the Crossroad model with its bold fascias, 19-inch Hyper Black wheels, Platinum Chrome body trim, and leather-faced seats with sport mesh inserts. 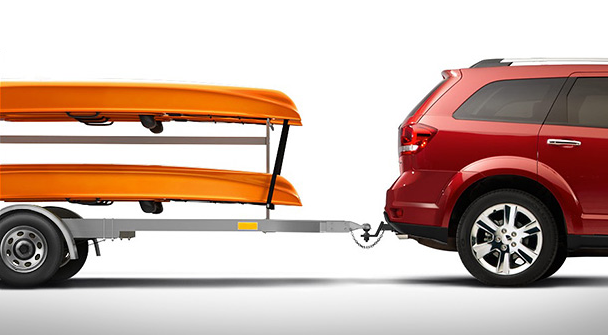 With all that the Journey offers, it's no wonder why this is Canada's favourite crossover. Talk with one of our representatives today, and learn why vehicle buyers come from Calgary, Lethbridge and Claresholm for a shopping experience at Davis Dodge. 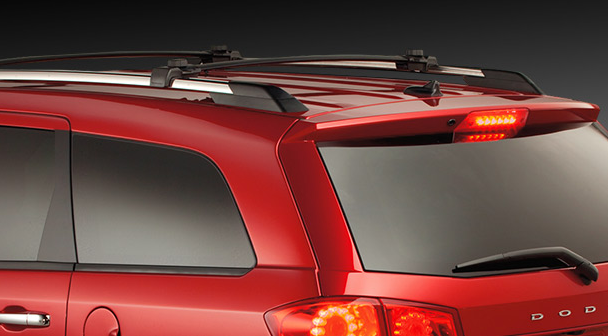 Soft-touch materials give the Journey a high-quality finish and feel. 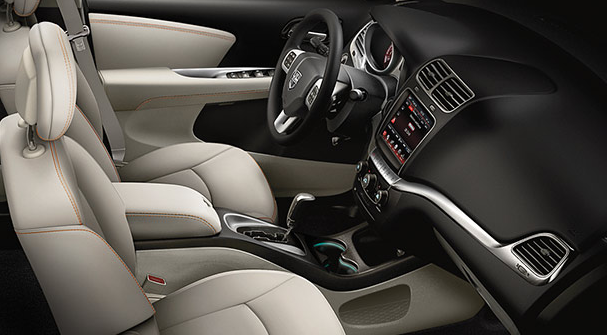 A fluid and ergonomic design is carried through from the instrument panel to the gauge cluster and centre console. Plush leather-faced seats are available. 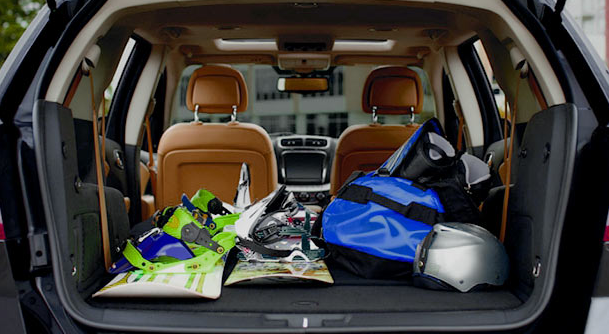 The versatile interior leads the way with Best-in-Class storage systems. 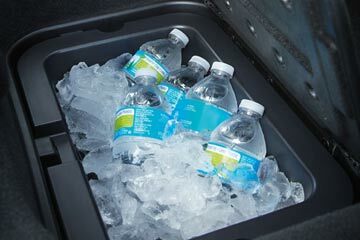 This includes 2 Class-Exclusive 2nd-row in-floor storage bins31 with removable, washable liners that each hold up to a dozen 355-ml cans with ice. 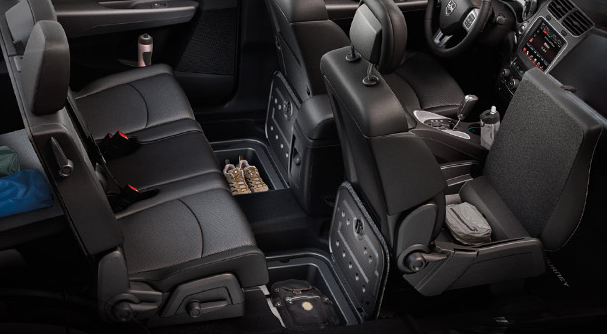 You'll also enjoy a cargo volume of up to 1,914 L (67.6 cu ft) with the seats folded behind the 1st row, along with available features like the Flip 'n Stow® fold-flat front-passenger seat with under-seat storage. 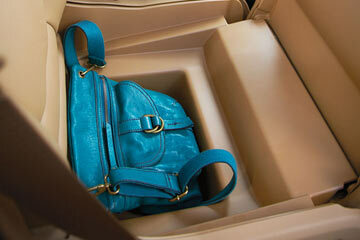 Enjoy this innovative console with concealed storage and 2 cup holders with illuminated rings on every model. A 115-volt auxiliary power outlet comes standard on the SXT, Crossroad FWD, Limited, R/T AWD, R/T Rallye AWD and Crossroad AWD. 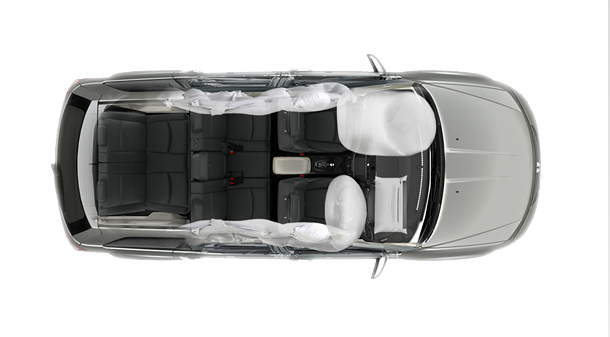 Seating for 7 comes standard on all models except the CVP. If you opt for the 3rd row, the available Tilt 'n Slide® 2nd-row seats move forward with a single lever, eliminating the need for 3rd-row occupants to climb over the middle-row seat. 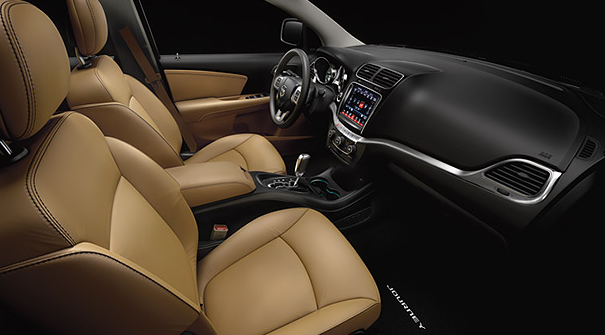 Heated Front Seats – Available with both the cloth and leather-faced seats, take on the cold weather in absolute comfort. Power Driver's Seat – Get a 10-way power seat including 4-way lumbar adjust standard on the Crossroad FWD, Limited, R/T AWD, R/T Rallye AWD, Crossroad AWD, and available on the SXT. 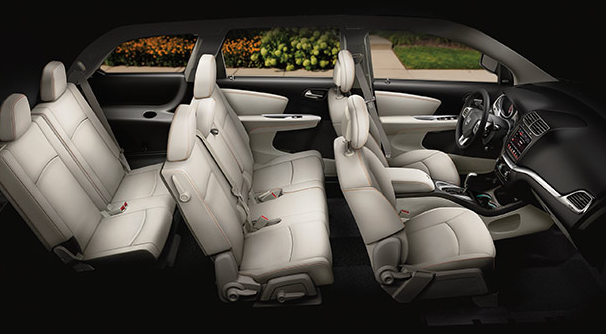 Take advantage of the 60/40 split-folding rear seat to accommodate longer items while maintaining maximum passenger versatility. Standard on all models, each bin features a removable liner and cover for easy cleaning, and can hold your gear or up to a dozen 355-ml cans with ice. The Crossroad model is all about bold and exciting design. The exterior turns heads with more aggressive front and rear fascias, 19-inch Hyper Black aluminum wheels, and Platinum Chrome finish on the roof rails and side sill inserts. The headlamps and taillamps feature a black accent surround, while an eye-catching Gloss Black grille and a Crossroad badge complete this Journey's rugged good looks. The Blacktop model takes the long list of features on the SXT and adds 19-inch Gloss Black aluminum wheels and blacked-out front grille and lower front fascia, headlamps and exterior mirrors. 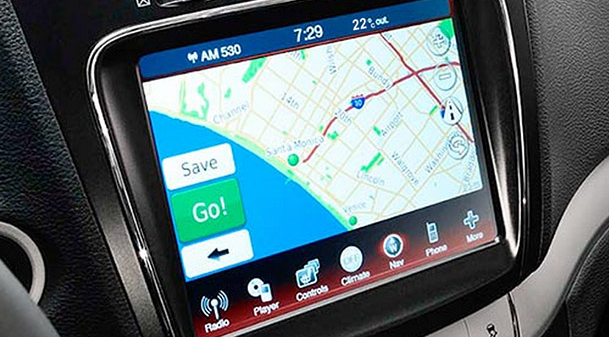 This model also comes with the advanced Radio 8.4 multimedia centre featuring largest-in-class 8.4-inch touchscreen. 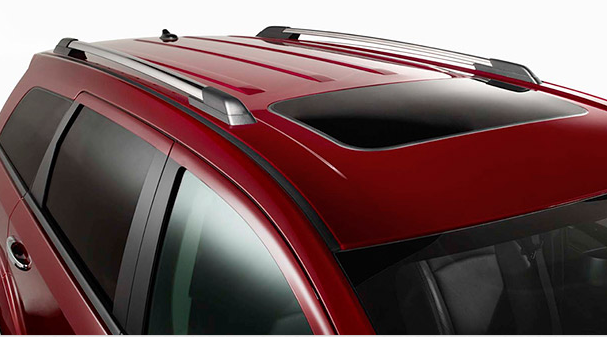 Bring in the fresh air and a sky view with the optional power sunroof with convenient one-touch operation. 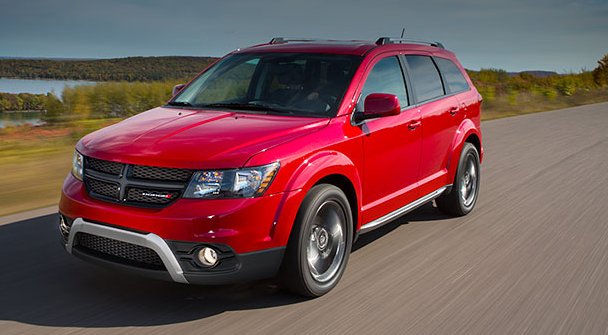 It is available on the SXT, Crossroad FWD, Limited, R/T AWD, R/T Rallye AWD and Crossroad AWD. 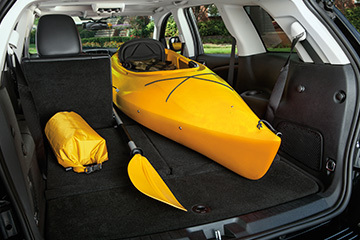 Free up interior cargo space with this versatile feature. It comes standard on the SE Plus, SXT, Limited and R/T AWD, and is available on the R/T Rallye AWD. 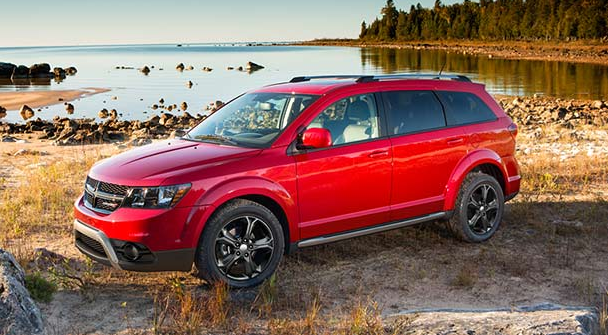 The Dodge Journey provides impressive fuel economy as efficient as 9.1 L/100 km (31 mpg) highway. 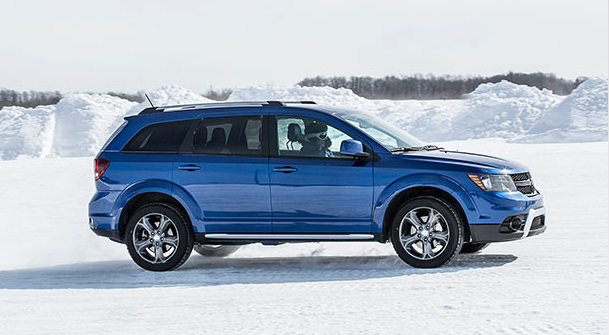 Get confidence to tackle Canada's inclement weather with available all-wheel drive. 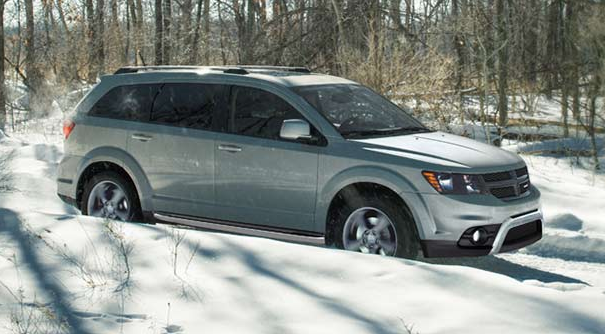 It maximizes traction by seamlessly sending power to the rear wheels when it detects wheel slippage for enhanced handling and added control on snow, ice and other low-traction surfaces. A MacPherson strut front suspension and independent multilink rear suspension provide exceptional handling while maintaining a comfortable and refined experience on every drive. 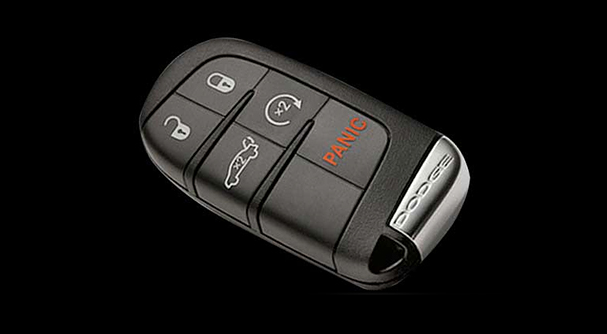 Every Journey comes standard with the convenient Keyless Enter 'n GoTM system. It allows you to lock and unlock the doors by simply touching the door handle while the key fob remains in your pocket. You can also leave the key fob in your pocket to start the engine. Simply buckle up, depress the brake pedal, and hit the push-button start. It really is that easy. Get hands-free communication with Bluetooth® streaming audio, SiriusXM satellite radio with one-year subscription and the largest-in-class 8.4-inch touchscreen31 with the available Radio 8.4 multimedia centre. It also includes an audio input jack and remote USB port to connect your personal devices. 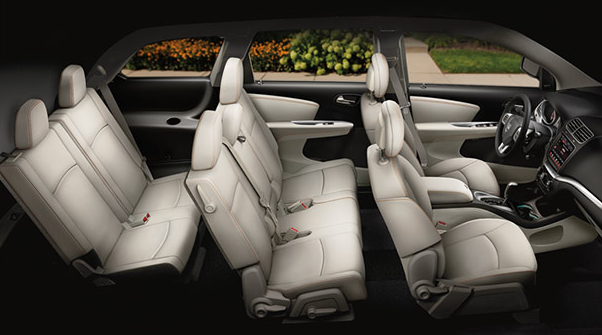 This feature comes standard on the Crossroad FWD, Limited, R/T AWD, R/T Rallye AWD and Crossroad AWD. This feature-rich package includes Radio 8.4 NAV multimedia centre with Garmin® Navigation, Park-Sense® Rear Park Assist and ParkView® Rear Back-Up Camera. You also get 6 premium speakers with subwoofer and a 368-watt amplifier, front and rear aimable LED lamps, SiriusXM satellite radio with one-year subscription, hands-free communication with Bluetooth® streaming audio and more. Entertain the kids – and the adults – with this available package. It includes a 2nd-row 9-inch video screen, remote control, 2 wireless headphones, 6 premium speakers with subwoofer and a 368-watt amplifier. 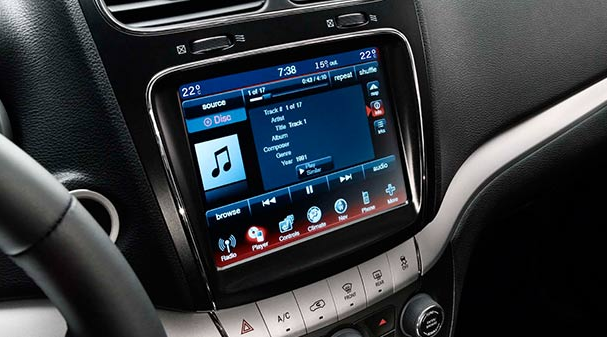 Keep both hands safely on the wheel with available hands-free communication with Bluetooth® streaming audio. 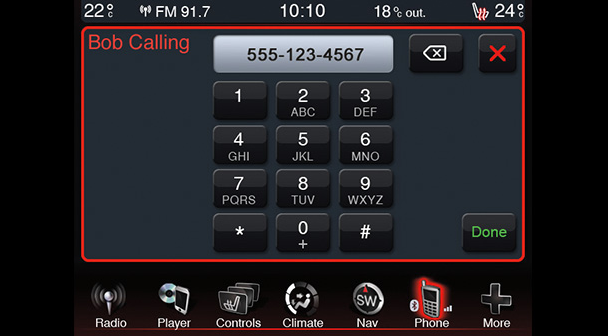 Control your Bluetooth-compatible phone, radio and available navigation system with simple voice commands. Maximize your personal soundtrack on every drive with this available sound system featuring 6 premium speakers with subwoofer and a 368-watt amplifier. 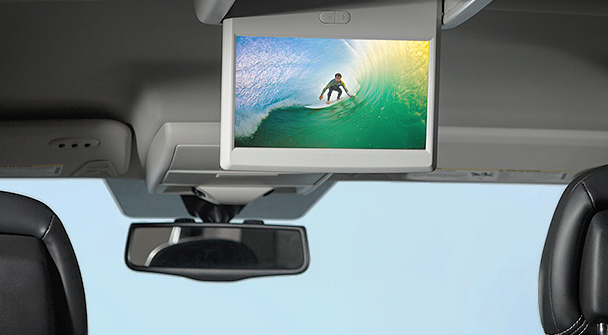 When you shift into Reverse, the available ParkView® Rear Back-Up Camera12 displays a high-resolution image of what's behind you on the touchscreen. It also uses grid lines to help take the stress out of parking. 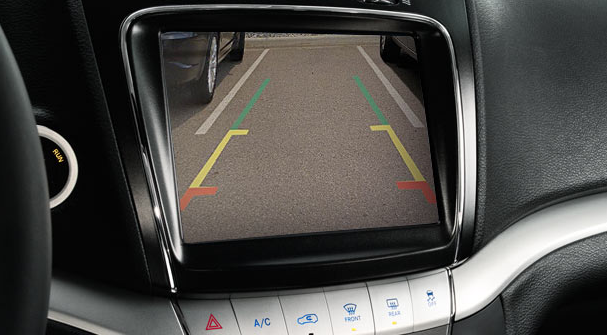 The available Park-Sense® Rear Park Assist uses ultrasonic sensors to detect obstacles behind you. It provides a visual alert and an audible chime that increases in intensity as you get closer to an object. The standard ESC gives you added confidence in all driving conditions. It includes Electronic Roll Mitigation and All-Speed Traction Control, and works with the standard antilock braking system. 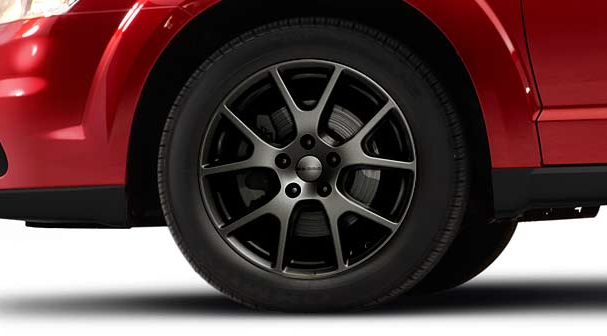 When the system detects moments of oversteer or understeer, it automatically adjusts the throttle and applies the brakes to individual wheels to help you maintain control. 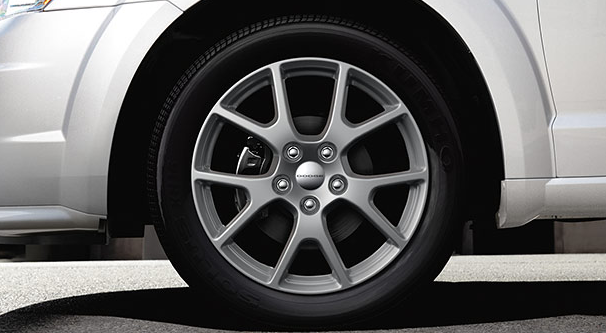 Under extreme braking situations, the ABS prevents the wheels from locking up. This helps you maintain steering control and is particularly beneficial in slippery conditions.